The proper functioning of a paint booth can only be assured if the clearness of the water curtain is optimally maintained, so that it can continuously absorb the paint overspray, that is to say the quantity of paint that is not applied on the item when the paint is being sprayed. 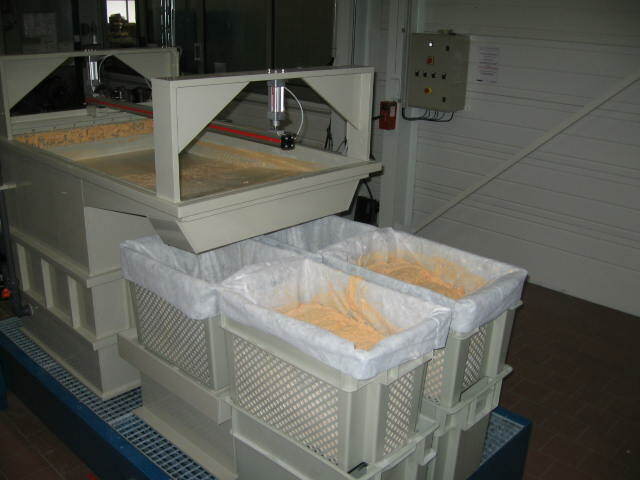 NISKAE offers a treatment system for water loaded with paint that allows a continuous treatment of the water curtain through the extraction of paint sludge with the water thread. 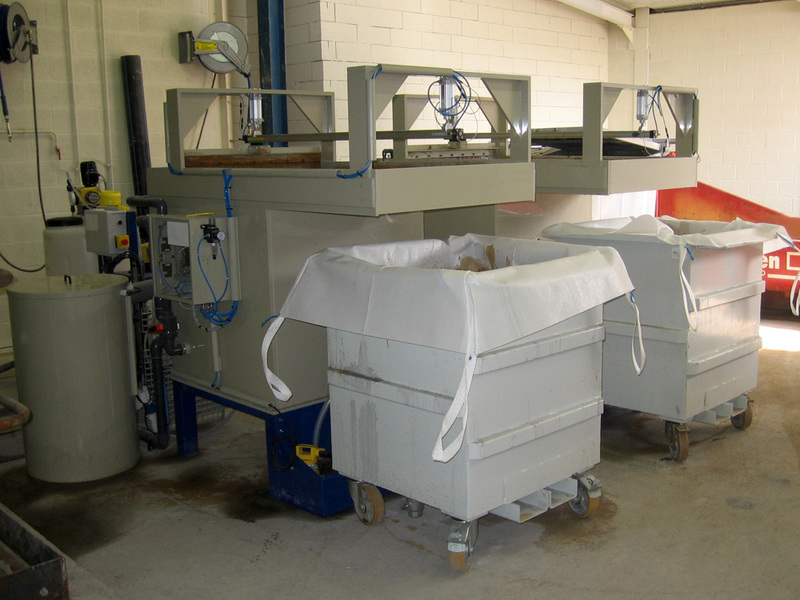 The extraction of the paint sludge is operated thanks to the use of coagulants and floculants, and requires the use of an extraction unit such as a skimmer. 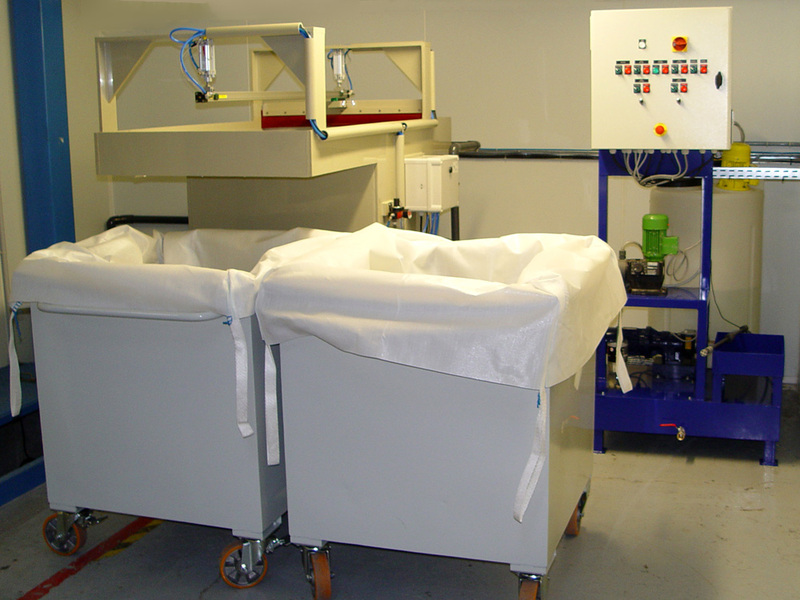 Our set up for the extraction of paint sludge includes a skimmer and a dosing and reagent preparation unit. 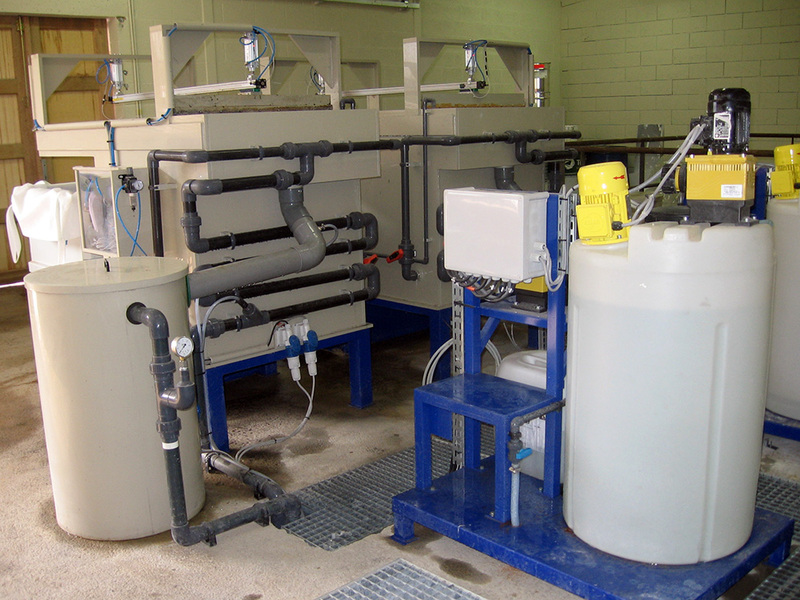 A complete turn-key solution that includes : water pumps, an automatic or manual dosing pump, a skimming unit linked to a sludge dehydration system through big bag filters or filter press.